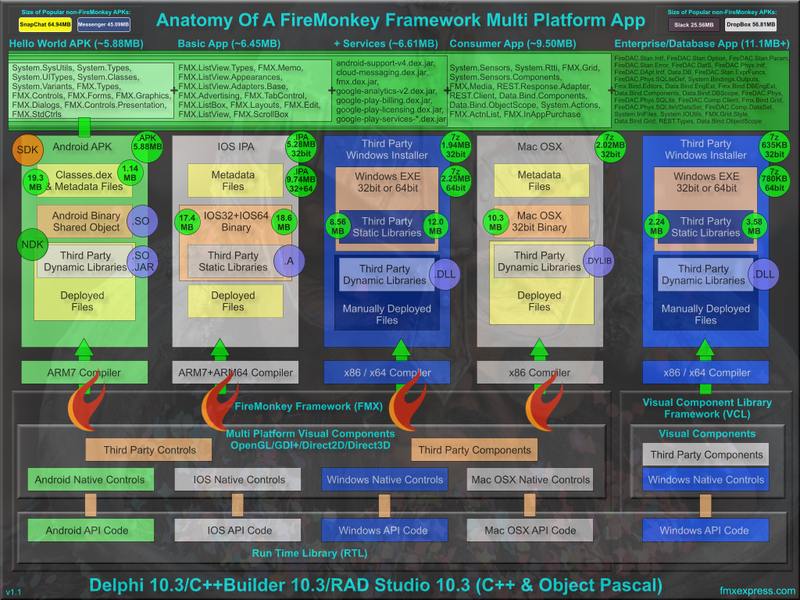 You can also take a deep dive into the Firemonkey Framework itself using the Delphi Unit Dependency Scanner. The unit dependency scanner will show you all of the units that your app uses and all of the units that those units use in a treeview. It will also show line numbers of each unit and a total line number count of your entire project.